This blogspot website remains to be the online location of Lenka Chludová's fine art and sound art performance work. of Feedback Live Productions, where Lenka Chludová works as an art director since October 2010. Lenkadu performances are immersive musical and visual worlds. 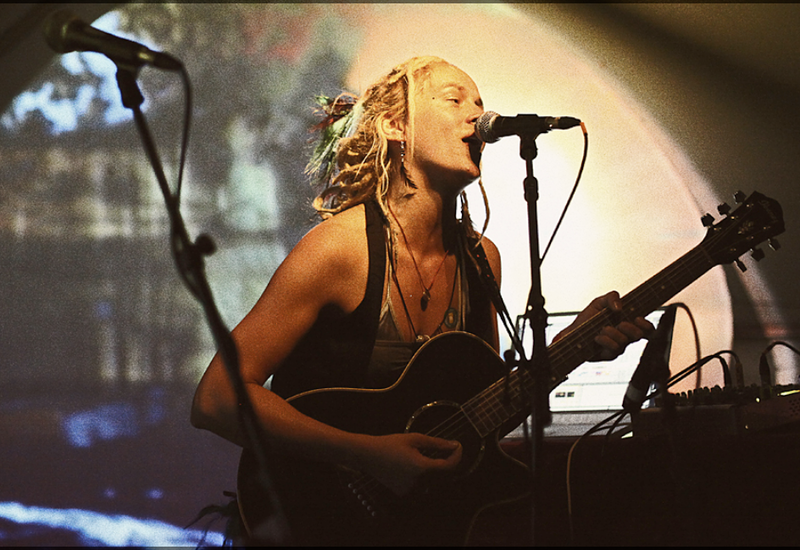 Her music combines influences of electronic music, avant-garde sound art and various genres of live music, such as progressive metal and noise rock. She creates her beats, samples her field recordings, sings and plays multiple instruments such as kalimba, guitar, bass guitar and anything else that makes intriguing sounds. Lenkadu plays video as one of the instruments in her musical and visual textures. Building on her experiences as a touring VJ, she mixes visuals live, creating a collage of her own and pirated imagery. Image and sound are closely interwoven in Lenkadu compositions. Lenkadu is working on a 2011 album and DVD “Redshift” , a conceptual album about an imaginary tribe. It is a musical and visual journey with different tribe members to the darkest and lightest of our experiences. Lenkadu Music and Visuals Live at PEX Summer Festival from Lenka Chludová on Vimeo. blood on the tracks from Lenka Chludová on Vimeo. feathers and leather from Lenka Chludová on Vimeo. speak softly from Lenka Chludová on Vimeo. Lenkadu is working on a 2011 record. All shows postponed till January 2011.
thanks to Hawaii Electronic Music Festival and Big Island Love community.